Anyone that plans on traveling in the future, applying for a passport or needs access to a government building will require a REAL ID. Without this document travel by plane or anywhere out of country will be impossible. According to the Department of Homeland Security (DHS), the REAL ID program was passed by Congress in 2005, the REAL ID Act enacted the 9/11 Commission’s recommendation that the Federal Government “set standards for the issuance of sources of identification, such as driver’s licenses.” The Act established minimum security standards for state-issued driver’s licenses and identification cards and prohibits Federal agencies from accepting for official purposes licenses and identification cards from states that do not meet these standards. Pennsylvania along with Alaska, Oregon, Montana, Oklahoma, Missouri, Kentucky, and Maine were all a little late to the game. California is still under review. Pennsylvania just started processing REAL ID Driver’s Licenses this spring. I was one of the first to apply for and receive my new PA Driver’s License that serves as a REAL ID. The process was fairly simple and straight forward with just a few wrinkles along the way. Flight restrictions started on January 22, 2018. Passengers with a driver’s license issued by a state that is still not compliant with the REAL ID Act (and has not been granted an extension) will need to show an alternative form of acceptable identification for domestic air travel to board their flight. To check whether your state is compliant or has an extension, click here. Passengers with driver’s licenses issued by a state that is compliant with REAL ID (or a state that has been issued an extension) will still be able to use their driver’s licenses or identification cards. The DHS website states that, “starting October 1, 2020, every state and territory resident will need to present a REAL ID compliant license/ID, or another acceptable form of identification, for accessing Federal facilities, entering nuclear power plants, and boarding commercial aircraft. This is what they call “card-based” enforcement. The card, itself, must be REAL ID compliant unless the resident is using an alternative acceptable document such as a passport. The Act does not require individuals to present identification where it is not currently required to access a Federal facility (such as to enter the public areas of the Smithsonian) nor does it prohibit an agency from accepting other forms of identity documents other than documents from non-compliant states (such as a U.S. passport or passport card). If you need to replace lost documents review “Replacing Lost or Stolen Documents” that I wrote last year. To obtain my REAL ID I had to present proof of identity, my Social Security Card, and proof of Pennsylvania residency. Lawful permanent residents have several documents they too can use to obtain the new ID. My driver’s license was due for renewal so I was able to take care of everything in just one visit to the local Penn Dot office. You have to have current and updated documents including a birth certificate with raised seal and other original documents to not only get a REAL ID but for passports and passport cards. Passports have a slightly different ID requirements, your birth certificate must have both parents listed on the raised seal certificate. My daughter and her husband recently applied for a passport and the clerk rejected their birth certificates. Their official state issued certificates from the 1980s didn’t list their parents on the document. I didn’t need this for our REAL ID, they accepted our raised seal birth certificate that I ordered from the State back in 1987. We ordered new birth certificates from Vital Statistics last week so that we can apply for passports this year. If you intend to travel in the future or visit a federal facility now is a good time to get your new ID card. It doesn’t take long and the process isn’t complicated, it just takes a little time to gather your documents, and head to your local driver’s license renewal center. This book is an indispensable resource for the everyday investor, “Gold Is A Better Way” turns the strategies recommended by Wall Street on their head and makes the case for a return to sound investing. 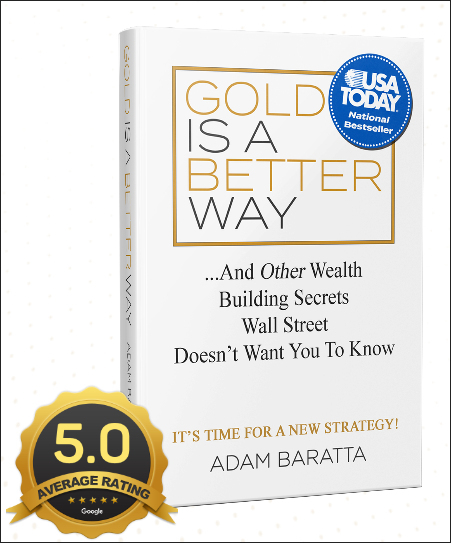 Adam Baratta strips away all the confusion and complexities surrounding investing and breaks down investment concepts and the simple fundamentals driving markets. 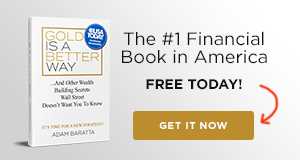 He provides a roadmap for how to win at the game of investing and, more importantly, explains the “why” so readers can continue to win. Everyday investors gain tools that allow them to know with certainty they are making sound investment decisions, as well as an understanding of where to diversify investments that have historically performed well. Disclaimer:Opinions expressed herein by the author are not an investment or benefit recommendation and are not meant to be relied upon in investment or benefit decisions. The author is not acting in an investment, tax, legal, benefit, or any other advisory capacity. This is not an investment or benefit research report. The author’s opinions expressed herein address only select aspects of various federal benefits and potential investment in securities of the TSP and companies mentioned and cannot be a substitute for comprehensive investment analysis. Any analysis presented herein is illustrative in nature, limited in scope, based on an incomplete set of information, and has limitations to its accuracy. 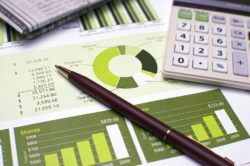 The author recommends that retirees, potential and existing investors conduct thorough investment and benefit research of their own, including detailed review of OPM guidance for benefit issues and for investments the companies’ SEC filings, and consult a qualified investment adviser. The information upon which this material is based was obtained from sources believed to be reliable, but has not been independently verified. Therefore, the author cannot guarantee its accuracy. Any opinions or estimates constitute the author’s best judgment as of the date of publication, and are subject to change without notice. The author explicitly disclaims any liability that may arise from the use of this material. The new locality pay charts are also available for review. The 1.9% increase is a function of the base rate increase of 1.4% plus a locality adjustment. Therefore, your raise, depending on your locality adjustment, will range from a low of 1.66% for the (Rest of the US) chart covering areas not included in a specific locality chart to a high of 2.27% for those working in the Washington DC, Baltimore Arlington area. To estimate your backpay use the TOTAL INCREASE Percentage listing on the locality table for your area. For example, Joe works in the LOCALITY PAY AREA OF VIRGINIA BEACH-NORFOLK, VA-NC. He is a GS-11, step 7 earning $74,842 a year. Multiplying Joe’s gross wages of $74,842 by .0187 (1.87% as listed on the locality pay table) equals $1,400, his 2019 pay increase. Divide this figure by 26, the number of pay periods, and Joe will be receiving an extra $53.85 a pay. If Joe received his backpay in pay period 9 he would receive an extra $485 in his pay less taxes. This may not seem like much, however if you increase your TSP contribution by just 1 percent after receiving your backpay, your retirement fund will grow considerably over time. In Joe’s case, the 1 percent increase in his TSP will take $28 of his $53.85 increase each pay, he will still have a little extra to spend. Yet, he will be saving an additional $748 a year towards retirement. Again, this doesn’t sound like much until you look at compounded interest over say the next 20 to 30 years. Saving just $28 biweekly at 4% interest will grow to $22,368 in 20 years and will reach $42,301 in 30 years! That same savings at a 6% growth rate would be worth $28,222 in 20 years and $61,331 after 30 years. A little goes along way and it pays to start early. Another option for many would be to use part of their backpay with additional contributions biweekly to establish an emergency fund. Possibly set up an allotment to your local Credit Union to get started. A recent report indicated that over half of those working didn’t have any savings, none at all. In that same report more than 60% couldn’t come up with $1,000 for an emergency! With the recent government shutdown in the rear view mirror now is a good time to evaluate your spending habits and prepare for the unexpected. I received a “Federal Employees Group Life Insurance Program Certificate” when I first started working for government. It explained much of what Jodi wants except for the insurance options and amounts that you elect when you enter federal service. You need a copy of your election forms for that information and those still working can review their electronic Official Personnel File (eOPF) to obtain a copy. The Certificate I received years ago lists accidental death and dismemberment coverage, the cost at the time of basic coverage, conditions, how to file a claim, and much more. It looks like a standard folded policy without your specific coverage listed. I’ve kept this certificate all of these years in my insurance file with a copy of the elections I originally made and updated the information when I retired. With this information, my heirs will know the amount of my coverage and who to contact when the time comes to collect; hopefully, many years down the road. Unfortunately, the certificate, Form G. 3385-G – Feb 1969, isn’t available. However, OPM provides two printable pamphlets, a booklet for retirees and the FEGLI program Handbook, and other resources like FAQs that you can review and download for your home insurance file. These documents cover anything and everything you need to know about your FEGLI coverage. There is a contact number on our free Retiree’s Master Contact List for the FEGLI administrator’s office. They only process claims and can not provide a summary of your coverage. Active employees must contact their HR office to review their eOPM for this information, retirees must contact OPM or download their insurance coverage from OPM’s Online Services as noted above. FEGLI coverage provides group term life insurance. Term insurance doesn’t build cash value or paid-up value. It consists of Basic life insurance coverage with three options. In most cases, if you are a new Federal employee, you are automatically covered by Basic life insurance and your payroll office deducts premiums from your paycheck unless you waive the coverage. In addition to the Basic, there are three forms of Optional insurance you can elect. You must have Basic insurance in order to elect any of the options. Unlike Basic, enrollment in Optional insurance is not automatic — you must take action to elect the options. AD&D coverage is an automatic part of Basic and Option A insurance for employees at no additional cost. Complete details of this coverage begin on page 35 of the FEGLI Handbook. During the 31-day extension following termination of coverage. Accidental death benefits are paid to your beneficiaries; accidental dismemberment benefits are paid to you, the insured. Accidental death and dismemberment (AD&D) benefits are payable when you sustain bodily injury solely through violent, external, and accidental means, and as a direct result of the bodily injury, independently of all other causes, and within one year afterwards, you lose your life, limb (hand or foot), or eyesight. Loss of hand means loss by severance at or above the wrist joint, or equivalent loss, as determined by OFEGLI. Loss of foot means loss by severance at or above the ankle joint, or equivalent loss, as determined by OFEGLI. Loss of eyesight means total and permanent absence of any usable vision in one eye. Accidental death benefits, if payable, are payable in addition to “regular” FEGLI benefits. 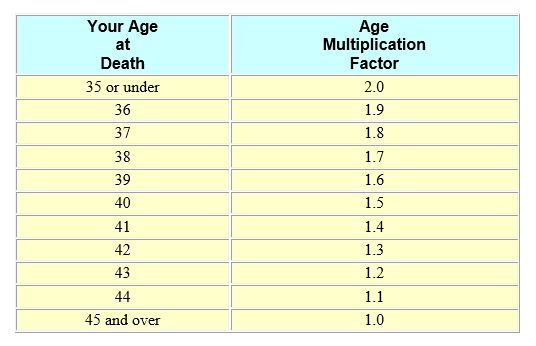 Under Basic insurance, accidental death benefits are equal to your Basic Insurance Amount (BIA), but without the age multiplication factor. These benefits are payable in addition to your Basic insurance and any Optional insurance payable. Under Basic insurance, accidental dismemberment benefits for the loss of one hand, one foot, or eyesight in one eye are equal to one-half of your BIA. For the loss of two or more of these in the same accident, benefits are equal to your full BIA. Note: Total AD&D benefits for a single accident, no matter how many losses occur, cannot be more than your full BIA. If you are under age 45 and covered under Basic insurance, you automatically have extra coverage without paying additional premium. This Extra Benefit increases the amount of Basic insurance payable at the time of your death, if you die before age 45. Living benefits are life insurance benefits paid to you while you are still living, rather than paid to a beneficiary or survivor when you die. You can elect a living benefit if you are diagnosed as terminally ill with a life expectancy of nine months or less, and you have not assigned your insurance. If you are physically or mentally incapable of electing living benefits, an individual having power of attorney can apply for living benefits on your behalf. Only Basic insurance is available for a living benefit. Optional insurance cannot be paid as a living benefit. If you are an employee, you can elect either a full living benefit (all of your Basic insurance) or a partial living benefit (expressed as a multiple of $1,000). Annuitants and compensationers can elect only a full living benefit. If an employee has a life event under FEGLI, he/she may elect Basic insurance and any and all Optional insurance coverage, including up to the maximum number of multiples of Option B and/or Option C coverage. For the FEHB program there are more situations where life events permit changes to your health care coverage between open seasons. There are time limits for these changes that you must adhere to or lose the opportunity to make the changes you desire. The time limit for making a FEGLI life event election is 60 days after the date of the qualifying event. You must file the election with your employing office using the Life Insurance Election (SF 2817-or is electronic equivalent) along with proof of the event. You can either file the election before the event, to be followed up with the necessary proof within 60 days after the event has taken place, or you can file the election and provide the necessary proof no later than 60 days after the date of the event. Annuitants also can take advantage of certain life events. Life events covered include you move, divorce, marry, have a baby, step-child, or foster child, your child reaches age 26, you reach age 65, your spouse dies, your former spouse dies or remarries before age 55, your child dies, you can’t handle your own money, or when you die Review OPM’s “Life Events and Your Retirement and Insurance Benefits (For Annuitants).”Generally, annuitants can only decrease their FEGLI benefits after retiring. It’s wise to Evaluating Your Insurance Needs prior to making any changes. Your insurance needs change with age and circumstance over time. The TSP currently requires that you make a full withdrawal election after you turn 70½ if you haven’t initiated any of the withdrawal options and have separated from federal service. If you fail to do that, the TSP initiates an account “abandonment” process. Fortunately, the new law passed in late 2017 establishes more flexible withdrawal options and does away with this requirement. You won’t be required to make a full withdrawal election when the new law is implemented in September of 2019. You will be required to take a Required Minimum Distribution (RMD) starting at age 70 ½. Under the new rules, when implemented, you can satisfy the RMD requirement by taking a partial withdrawal or installment payments. If you take no action or just don’t withdraw enough to meet your RMD, the TSP will automatically send you the remaining RMD amount. If your account has already been abandoned, you’ll be able to restore the account without making a full withdrawal election. Your restored balance can remain in the plan (subject to RMDs) with all the new withdrawal options available. Multiple age-based (for those 59½ or older) in service and post-separation partial withdrawals will be allowed. You’ll be able to choose whether your withdrawal should come from your Roth balance, your traditional balance, or a proportional mix of both. You will no longer be required to make a full withdrawal election after you turn 70½ and are separated. (You will still need to receive IRS required minimum distributions (RMDs). If you’re a separated participant, in addition to the option of monthly payments, you’ll be able to choose quarterly or annual payments, and you’ll be able stop, start, or make changes to your installment payments at any time. Many, like myself, that will soon turn 70 or have recently reached that milestone need to know what steps to take to remain in the TSP when the deadline for withdrawing our account arrives. I talked with Rob, a customer service representative at the TSP. He advised me that the rules will change this September as reported to accommodate RMD distributions. If you will be age 70 ½ this year and do nothing, the TSP will automatically send out your first RMD next March for 2019. For all subsequent years your RMD will be sent to you in December. If you do nothing this year and let the TSP send you the automatic payment next March you will receive two RMDs in 2020, one in March for your 2019 RMD and the second will arrive in December for 2020. This could increase your income sufficiently to cause your Medicare Part B premiums to increase. To avoid receiving two payments in one year, you can take a partial withdrawal this year for the amount of your RMD using their TSP 77 form. This form can be filled out online, just sign on to your TSP account and search for this form. You can also request a copy by calling the TSP at 1-877-968-3778. Rob assured me that the partial withdrawal would be counted as your first RMD and the TSP won’t send a duplicate payment in March. They will automatically send your next RMD in December of 2020, and each year thereafter. If you withdraw an insufficient amount from your TSP account to cover your RMD the penalties are severe, 50% of the shortfall plus the income tax owed. You will also have to add your distribution to your federal tax return and pay taxes on them. Your RMD distribution is taxed as ordinary income. To determine the amount of your RMD according to Kiplinger’s, “divide your year-end account balance from the previous year by the IRS life-expectancy factor based on your birthday in your current year.” Use the tables in IRS Publication 590-B to determine your life-expectancy factor. Kiplinger’s also has an online 2019 RMD calculator that you can use. I called the TSP and had them calculate my RMD to determine how much I needed to request for my partial withdrawal. A word of caution for those who have Medicare B coverage, your Modified Adjusted Gross Income (MAGI), may increase as reported on your IRS tax return. You may have to pay the standard Medicare B premium amount and an Income Related Monthly Adjustment Amount (IRMAA). This extra charge is added to your Medicare Part B premium based on your income. Another factor kicks in for those who decided to hold off collecting their Social Security until age 70. The added Social Security income along with the RMD distribution can easily increase your Medicare part B premium significantly. The main advantages of the TSP system are their extremely low managements fees, averaging $0.40 per $1,000 invested in 2018 or .04%. It would be difficult finding funds outside of the TSP paying fees this low, however some index funds are close to this figure today. 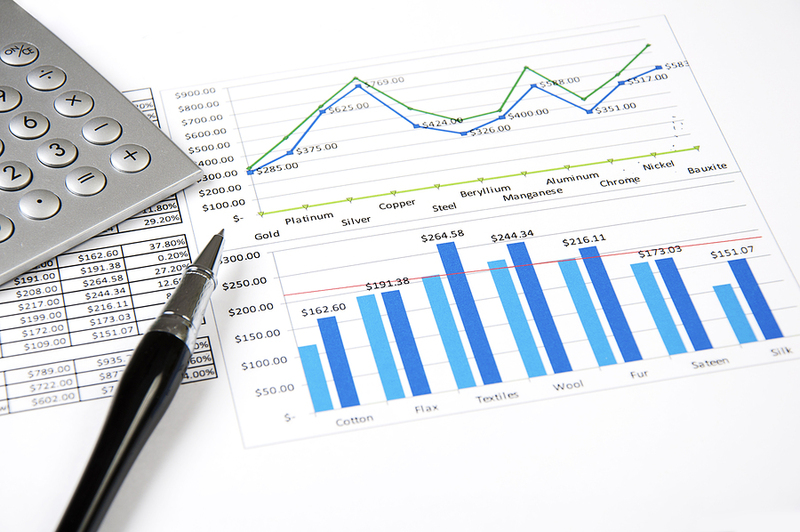 Expense ratios may also be expressed in basis points. One basis point is 1/100th of one percent, or .01%. Therefore, the 2018 TSP net expense ratio of .04 % is 4.0 basis points. You also have the advantage of investing in their diversified portfolio of funds including one that is guaranteed to never decrease in value, the Government Securities Investment (G Fund). The G Fund offers the opportunity to earn rates of interest similar to those of U.S. government notes and bonds but without any risk of loss of principal and very little volatility of earnings. The G Fund’s investment objective is to produce a rate of return that is higher than inflation while avoiding exposure to credit (default) risk and market price fluctuations. 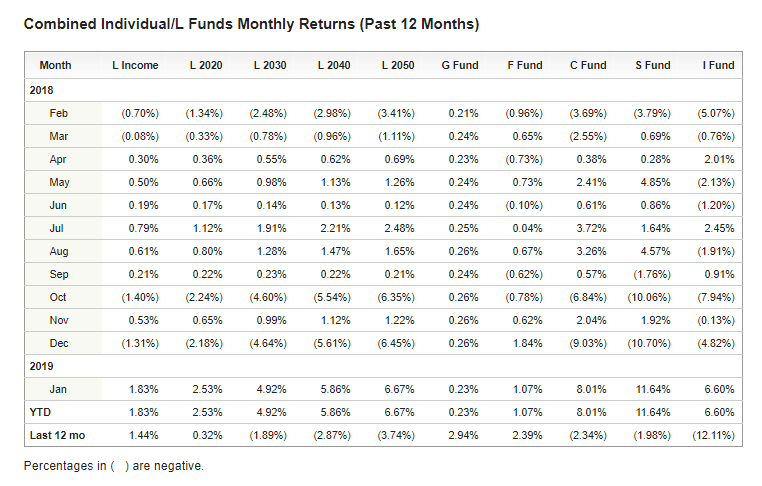 It is one of the only funds that is guaranteed to never decrease in value. The G Fund interest rate calculation is based on the weighted average yield of all outstanding Treasury notes and bonds with 4 or more years to maturity. As a result, participants who invest in the G Fund are rewarded with a long-term rate on what is essentially a short-term security. Generally, long-term interest rates are higher than short-term rates. There are many funds to choose from including their Life Cycle Funds that provide hands free investing for those targeting a specific retirement date. Before leaving the TSP evaluate your options. Here is a list of articles and resources that you may find helpful when considering leaving the Thrift Savings Plan. The President signed a spending bill fully funding the federal government through September of this year. The bill authorized a 1.9% pay raise for federal employees. It will take time for all of the agencies to load the updated tables into their system and we will post the new 2019 pay tables as soon as OPM releases them. As of February 24th, the new pay tables were not yet available on OPM’s website. Fortunately, the raise will be retroactive back to the first full pay period of 2019. All will get a larger check with the backpay included soon. With the longest government shutdown in history behind us it is a good time to establish an account for exigencies that may arise in the future. We just went through a painful shutdown that impacted hundreds of thousands of federal employees. Many were not prepared and didn’t have the reserves they needed to make ends meet for an extended period. It’s a good time to evaluate where you are financially to prepare for the next emergency in your life. This should be a wakeup call to all federal employees to establish emergency savings if they haven’t already. Now is an excellent time to begin. With the new raise and a lump sum back payment coming, either add to your existing savings or start an emergency account now. Many feel they can’t save, they live paycheck to paycheck. There are ways to make it painless. Since a raise is on the way, retroactive to the beginning of the year, start an emergency account with the retroactive increase. Then, grow your account by setting up an allotment to your local credit union or bank for half of the 1.9% increase each pay. Those who already have a savings account, increase your allotment by at least half of your scheduled increase. You will still see more in your paycheck and at the same time your savings will grow each and every pay. If you are within 10 years of retirement, I suggest increasing your savings allotment to as much as the full amount of you increase each year. When I retired my take home pay was the same as it was 10 years prior and conversely my credit union account grew substantially. You can use this technique to pay off your mortgage before retirement or to simply feather your retirement nest egg. Another option is to open a Treasury Direct account and send an allotment each pay to purchase Savings bonds. I Bonds are inflation adjusted and currently paying 2.83%. EE Bonds are paying .10%, however, if you hold EE Bonds for 20 years, the Treasury guarantees the bonds will double earning and effective rate of 3%. I believe I Bonds are a better option for those approaching retirement and for anyone else that may need to cash in their bonds in less than 20 years. Also, inflation has been low for the past 10 years and interest rates are still rising. The interest earned on your bonds are tax deferred. You don’t have to pay income tax on the interest earned until you cash them in. You will have to set up a Treasury Direct account before your first purchase. There is a downside to EE and I Bonds, you can’t cash them in for one year after the purchase. Any bonds puchased in the previous 12 months can’t immediately be turned into cash. Thankfully, the raise has come and now it’s up to you to prepare for the inevitable down the road. There will always be times in our lives when we well need to fall back on our savings. Many retirees dream of a home away from home. The thought of having a place to escape to in the winter months, or during the summer for sun lovers, is enticing on many levels. Others consider a mobile home to explore this vast county in style and to visit the many attractions they heard so much about growing up. Northern cold climate retirees, snow birds, are either relocating to or buying second homes in the south in large numbers, some going as far as Central America to escape their frozen environs. If you are thinking about a second home there are many factors to consider, both pro and con, before signing on the dotted line. 1) Does your Home Owners Association (HOA) allow short term rentals? Before buying a vacation property determine if the complex allows short term rentals. Short term rentals can create issues for fulltime and vacation home owners that don’t rent their property. There can be a constant flow of new people coming and going from rental units. Some plans restrict rentals to 6 month or longer, which is ideal for those not wanting to deal with short term rental turnover. If you are considering a vacation condo, townhome or patio home, and don’t want to rent your property when you aren’t there, find a complex that restricts short term rentals. 2) What are the costs of ownership? Another consideration is the expense, can you afford the upkeep, utilities, taxes, and common charges. When a new plan opens the builders may have kept the common charges (HOA fees) low to attract buyers. Once the complex sells out, the common charges can increase. Typically, you must pay common charges of several hundred dollars monthly to cover everything but your electric, insurance, Internet, and taxes. When you add all costs, even without a mortgage, your monthly expenses can easily reach $500 or more monthly. Discuss all of your costs with the realtor and talk with the tax office to verify their estimates. 3)What is your real estate tax liability for non-resident property owners? Taxes for those residing out of state are often considerably higher than permanent residents. In some states a non-resident owner can pay up to three times more than what a permanent resident pays for real estate taxes. The taxes are often far less than what many would have to pay up north, yet it seems unfair to penalize vacation home owners when they are only using the services at that location part time. If you rent your vacation property the state and city may add additional taxes including a personal property tax and a higher rate depending on the property classification. 4) Consider noise in condo and attached properties. Noise can be a problem, especially when you have short term rentals in your development. Many large complexes have a security service that you call to address inappropriate behavior and excessive noise. The owner of the unit above could install hardwood floors that often magnify foot traffic. If you are concerned about noise it may be best to purchase a top floor unit to reduce your exposure from the noise above. That being said, noise from adjacent units and those below can also be a problem. 5) Are you considering renting your unit? Many buy vacation homes with the thought of paying part of the mortgage and expenses by renting their property through a property management firm. This can make it more affordable for the buyer. However, the buyer must be aware of rental pitfalls. Rental units often get abused by renters and the owner must pay for the repairs and upkeep even though some costs can be recovered from the negligent party. Also, the property management fees can be excessive and your share shrinks as expenses rise. Another consideration is that once you rent a property, often the city and state taxes increase because it is now an income property. With a rental property, you may have to pay personal property taxes and your Assessment Ration (RTO) can more than double your assessed value. In South Carolina your RTO ranges from 4 to 10.5% which means your property value is multiplied by these percentages to determine your assessed value for tax purposes. 6) Is the trip to your home away from home sustainable? Travel to and from your vacation home takes planning, coordination, and time. Ideally, its beneficial if it is close enough to just get up and go anytime you feel the urge to get away. If the property is over 5 or 6 hours away the trip can become tedious and dangerous, especially in winter weather. Ideally, the shorter the drive time the better and less stressful the journey. If you fly that is another story and flying adds other factors to consider such as car rentals, etc. Consider the trip length before buying. Even though you may be able and willing to do it now, as we age travel becomes more of a problem. Can you sit for extended periods, do you like or can you at least tolerate the trip several times or more each and every year? The further away the more hesitant you are to make the trip. Those living up north are often unaware of the heat, humidity, and pest control issues when owning a southern property. Many first-time vacation home buyers turn up the AC to 80 in the summer and leave it at 50 degrees in the winter when returning home to reduce their vacation property utility costs. This leads to other problems. Keeping it at those extremes can cause mold and mildew problems. You can install a NEST thermostat in your vacation home and adjust the HVAC system temperature remotely from your cell phone. If you can’t adjust your HVAC remotely you have to have someone in the area to do it for you, either a neighbor or handyman. You can also install a video monitor at your condo if you are concerned about security issues and access. Many condos and townhome complexes include internet, cable, and Wi-Fi in the monthly common charges. Most condo common charges include pest control and they treat the units on a set schedule that varies per location. If you leave a home for extended periods down south bugs become an issue, even with treatments expect the unexpected at times. 8) Are you comfortable with vacationing at the same place every year? Once you buy a vacation home you’re obligated to visit often. There are maintenance issues such as regularly changing the HVAC air filters, pest control, general cleanup and maintenance that you have with all properties you own. In many cases, a second home is just that, a home away from home, not a vacation destination. A lot of vacation home owners maintain a daily routine just like at their primary residence. It is an escape from the winter doldrums for snow birds and just a comfortable place that they enjoy getting away to. There are many things to consider before buying a vacation home. I suggest making a list of pros and cons and perform a detailed budget analysis to determine if it’s affordable and makes sense for you and your family. Yes, it is nice to have a place to escape to, however without a complete evaluation and review you may regret your decision. A no-obligation workshop for Federal Employees who are interested in learning how to effectively prepare for retirement. Certainly, new hires and those with only a few years federal employment were struggling, and I understand that. Many others are living paycheck to paycheck. However, I recommend thinking twice before taking an action you may regret down the road, the grass isn’t always greener on the other side. 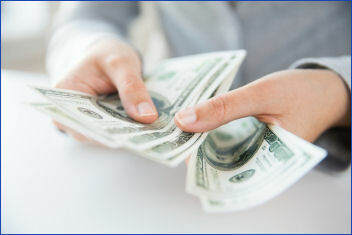 Most federal credit unions offered no or low-cost bridge loans, waived monthly payments, and many financial institutions and companies offered some form of assistance. You just had to ask. Request a Federal Retirement Report today to review your projected Annuity payments, income verses expenses, FEGLI, and TSP projections. Federal employees have the best of both worlds. We’re furloughed and still eventually get paid. Laid off workers in the private sector apply for unemployment compensation and receive a fraction of what they were earning while employed. Federal benefits are among the best available anywhere. 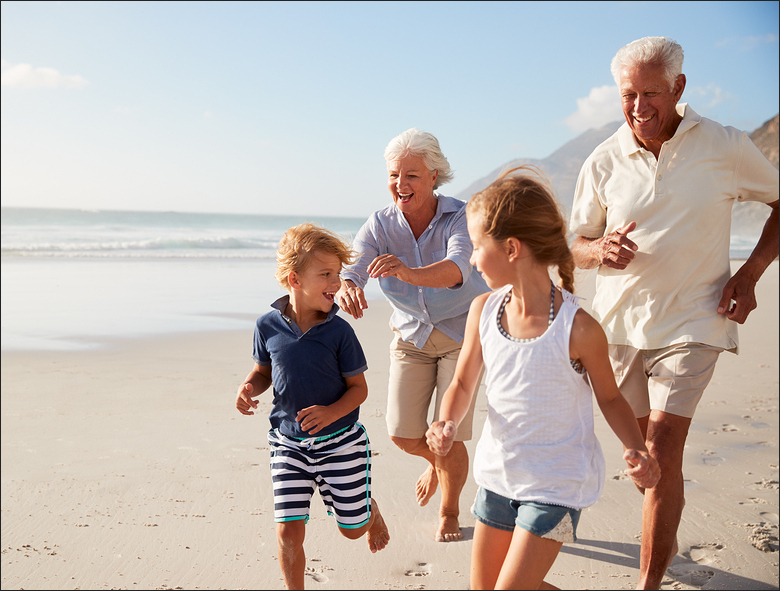 We have generous vacation and sick leave options, excellent pensions and TSP (401K) retirement plans, low cost insurance policies, and many health care plans to choose from. Federal employment is secure, for the most part, and employees often have careers that last a lifetime. Mine did. 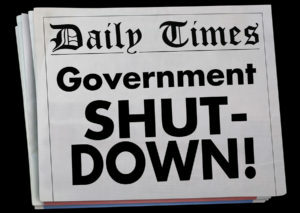 Because federal employment is considered secure, many don’t take the precautions they should to prepare for emergencies, such as a shutdown. I often discuss ways to economize and save not only for retirement but for life’s uncertainties. Everyone should have a safety net, 3 months of expenses for times like this stashed in a savings account plus other reserves the closer you get to retirement. When I talk to groups and mention this, many say they simply can’t save, they live pay check to paycheck. I tell them it’s possible and you have options to make it painless. You just have to do it, start small and grow your savings over time. Another shutdown may be coming soon, if the parties can’t agree on border security. Don’t get frustrated, call your representative and tell them to negotiate in good faith. Unfortunately, our representatives spend more time raising money for their next campaign than they do representing their constituents.